For reader reviews and purchasing information click on a book cover. J.T. Conroe is a former architect and U.S. Air Force officer who was born in Montana and has since traveled widely and lived in various places around the country and the world. He is an editor/publisher of non-fiction history books. 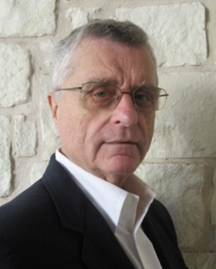 He has written and published five varied suspense novels infused with a certain literary quality and *set against the expansive background of recent American history. 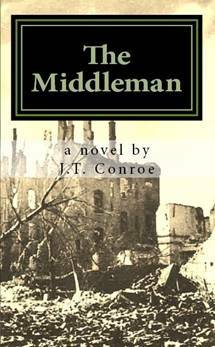 One reviewer said “this writer has a strong literary sense reminiscent of noir novels of the past.” Expect to encounter his American protagonists in such places as post-war Nebraska, Washington during the Watergate scandal, Central Asia during the aftermath of 9/11, a small town in West Texas, Dresden during its devastation and long, slow recovery, a remote city in post-Soviet Russia, the Chicago underworld, the Hollywood fringe, or the international black market in art stolen by the Nazis. It’s the bitter winter of 1948. The young driver for a Chicago gangster flees his boss’s retribution carrying a valise full of stolen mob money. Suffering from an infected bullet wound received during his escape, he leaves his California-bound train and takes refuge in a dying Nebraska railroad town where he encounters a corrupt sheriff and a crippled war veteran who has been traumatized both by his combat experience and a tragic event back home that took place while he was fighting in Europe. 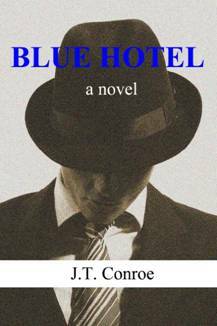 This is a novel imagined as a sequel to Stephen Crane’s 1899 short story called “The Blue Hotel”. It’s 1999, a 59 year-old architect lies in a coma, the victim of a murderous psychopath. There is no hope for his recovery. The man’s family authorizes a highly experimental procedure to upload his mind into a computer. Nearly four decades later, the architect awakens with no memory of his own murder, or the events that led up to it. He assumes he has awakened in a motel room during a cross-country business trip in the morning of an ordinary day in the final year of the 20th century. But he is wrong. Instead, he is lying on a laboratory table in the year 2038. He will soon discover that things have changed -- and not for the better. The unforeseen consequences of the 1999 experiment are about to have a profound effect on humanity’s uncertain future. Cover image by Cory Ench. 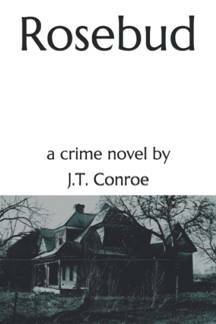 Reese Davis, a young architect, falls for the daughter of a client named Jack Copeland, “The Most Hated Man in America”. Copeland was a billionaire hedge fund manager whose firm has recently failed in spectacular fashion, causing huge losses to himself and his wealthy investors, many of whom were his close friends. Although it’s not clear if he has committed any crimes, there are many who think he has, and he is the subject of a criminal investigation by the FBI, as well as numerous civil lawsuits. Desperate to recover from his losses, he has secretly associated himself with a Russian gangster in a money laundering scheme for foreign investors. 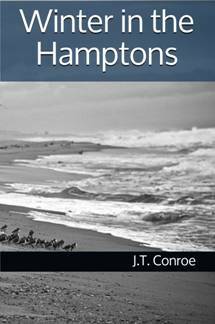 Reese, infatuated with Copeland’s daughter, allows himself to be gradually drawn into Copeland’s shady dealings and soon finds himself in deep and dangerous waters. Adrian Dietrich is a prominent member of a Nazi Fourth Reich group in Germany called the Circle. During the war, he was the commander of one of Heinrich Himmler’s special SS units that were assigned the task of looting Europe on a scale never before seen. Now, as a successful Berlin art and antiques dealer, he helps to finance the Circle’s operations through the black market sale of those remaining artworks which the Allied occupation forces were unable to find. The middleman for these illicit dealings is his trusted American son-in-law. There is one hidden cache of stolen masterpieces, however, that only Dietrich (and a woman to whom he is bound by the secret of his criminal acts while in the SS) knows about. The problem is that he has been unable to get at it for decades as it lies buried in Dresden behind the Iron Curtain. Then the Soviet empire falls apart and now he must retrieve it in secret before others learn of its existence, especially the German authorities or the other members of the Circle. He is an old man now, so the task falls to his trusted son-in-law. The only impediment, it seems, is a scrupulous young architect — also, not by coincidence, an American. 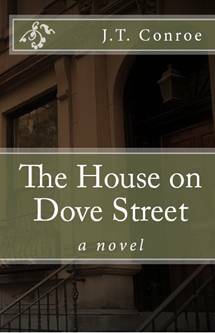 A novel based on actual events. A young black female reporter investigates a CIA mind-control research program (MK Ultra) and its apparent connection to the series of history-altering assassinations that took place during the 1960s. She joins CBS News and becomes a rising star there. 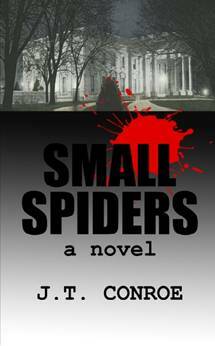 Tracking an obscure lead, she encounters what appears to be the early phase of yet another assassination plot, and soon finds herself in the frightening position of holding the key to the destruction of the Nixon presidency, a criminal enterprise that will stop at nothing to preserve its own existence. In 1929, a West Texas cattle rancher had a staggering religious vision in which he and his male progeny were commanded by God to build a tower. The purpose of the tower was not revealed. Its construction was to be a matter of faith. Sam Sudro continues to honor his family’s commitment, but in the fateful year of 2001 the straight and narrow course of his life takes a strange turn, putting him in a former Soviet republic, the reluctant instrument of redemption for a beleaguered people subsisting at the edge of extinction. 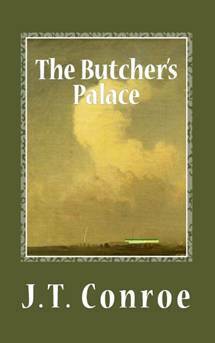 The Butcher’s Palace is a suspense novel set in contemporary Russia. An American art expert travels by train to Karapol in Asiatic Russia to authenticate a lost Jan Vermeer masterpiece reputedly in the possession of the ruthless and dictatorial president of one of the Russian Federation’s remote autonomous republics. On the train, he meets a beautiful Russian woman with an agenda of her own with whom he begins a love affair. Arriving in Karapol, he and his new lover are introduced to the ambitious president of the republic who is a great admirer of Stalin, who is disgusted with the current state of Russia, and who has plans to secede from the Federation and lead all of Russia back to greatness. The American soon finds himself at the center of a murderous three-way intrigue for which he is ill-prepared. A ship is sent by a secretive intergalactic Foundation to a remote and forgotten planet under its protection called Hiraxis VIII. The planet has a pre-industrial civilization that has long forgotten its origins as a human colony. The ship returns with a collection of ancient manuscripts. One of the manuscripts is a narrative of the life of a native Hiraxian and it tells a story that will shake both Hiraxian civilization and the Foundation to their cores. Following the violent abduction of his mother while the narrator is but a young boy living in a village on Hiraxis VIII at a time when it is even more primitive, the boy’s father places him under the care of a mysterious “Mountain King” and departs in a desperate attempt to rescue his wife. The boy, now a ward of the Mountain King, is sent on a journey of his own and discovers a legacy that extends back thousands of years to the year AD1.999 on “mythical” Earth and an immortal father. This is the second book of the Secret Meridians. It is a sequel and expansion of Metamorphosis. This is the third book of The Secret Meridians. 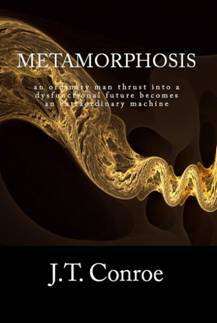 It is a sequel to Metamorphosis and Gray Meridian. 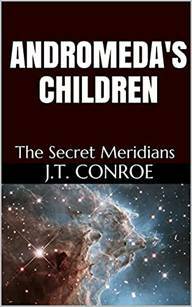 In Gray Meridian a ship is sent by a powerful intergalactic Foundation to a remote and forgotten planet under its protection called Hiraxis VIII. The planet has a pre-industrial civilization that has long forgotten its origins as a human colony. The ship returns with a collection of ancient manuscripts. One of the manuscripts is a narrative of the life of a native Hiraxian, and it contains a story that goes all the way back to Earth in the year 1999, which will shake both Hiraxian civilization and the Foundation to their cores. Red Meridian is a continuation concerning three avatars of a twentieth century murder victim named Davis Gray whose mind was uploaded to a computer just before his death as part of an experiment in artificial intelligence, making him the first true artificial intellect ever created. Made virtually immortal, he obtains an android body and seeks to rejoin society as an ordinary man. However, he soon discovers that there are other copies (avatars) of his original mind. The second avatar (Gray Two) is an android such as himself, but one whose life has diverged in a far different direction. The third avatar (Gray Three) inhabits cyberspace, and has acquired virtually unlimited intelligence and ambition. The rich and powerful third avatar has plans to overcome the many conflicting forces that have brought about the dystopia into which humanity has fallen. Retaining Davis Gray’s idealism, he intends to create a new golden age for humanity and a magnificent interstellar civilization. No person in history has ever had such great power. But the ability of power to corrupt can never be ignored, and the long and arduous journey taken by the immortal Davis Gray from Earth to Hiraxis VIII has many pitfalls. A troubled childhood with a tempestuous mother, and the life-long search for the identity of his father complicate the career of a free-lance investigative reporter, and impose upon him an almost desperate need to provide his own wife and children with a normal family life. When he is recruited to be a speech writer for a charismatic presidential candidate, he finds himself caught between two political conspiracies, both of which require his personal destruction.